As we’ve mentioned previously, we’re going to be making some updates to the Steam edition of S.O.R.S to make it even better than the current version and incorporate some of the feedback we’ve gotten. On the feedback front – thank you SO MUCH to everyone who has bought the game so far. It’s such a heart-warming feeling to see someone buy your game… I really do appreciate every single sale. Don’t forget – everyone who buys the game now will get a steam key! * So buy it and let us know what you think! Anyway, what I’d like to do is write a series of posts each highlighting one of the features we’re planning to update for the Steam version. The first feature I’d like to introduce is: Story Mode. We’ve had feedback that some parts of the game are tough. It is (although some paths are harder than others). There’s nothing wrong with a tough game, but we appreciate that some people play the game for the story. 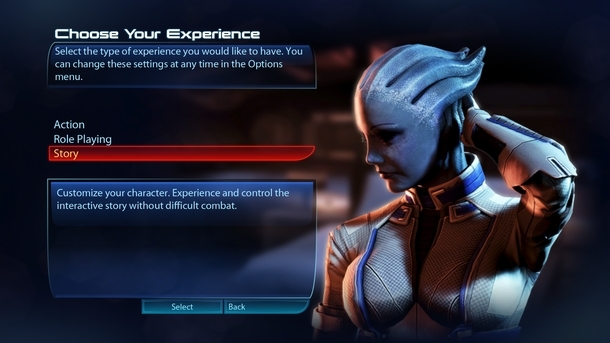 We had suggestions for a story mode, and I remember that Mass Effect (great game series!) offered players the choice of a ‘Story Mode’. This seems like a very good idea, as some people prefer to play the game for the story rather than the action. We’re planning to add a story mode that will make the treatment room portions of the game easier, allowing players to experience the game for the sci-fi story. We’ve had feedback that the story/emails are engaging and fun to read (which is very good to hear as they are fun to write! ), so the easy mode should suit players who are playing just to experience the story. Like it? Think it’s a bad idea? Let us know via comments/twitter! We love to hear from you all.